First of all, I love Maria Semple’s website! You have to go see it! Second, I thought her book was funny and unique. 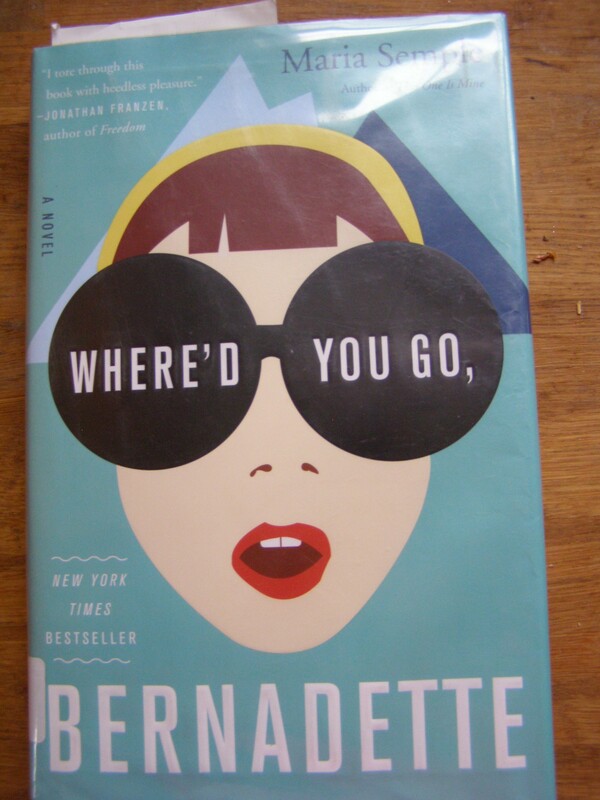 What this book is about, in a nutshell: Bernadette is an eccentric wife and mother, who is on the verge of a breakdown. Then she disappears. Some people are ready to write her off and good riddance, but her daughter, Bee, is convinced that she is still alive and is determined to find her. Along the way, she also learns a lot more about her mother than she ever knew. What I like about this book: This story is smart, funny, and unpredictable. I rarely knew what was coming next. It also has a heartwarming message buried inside all the humour. And I like the dog’s name, Ice-cream. 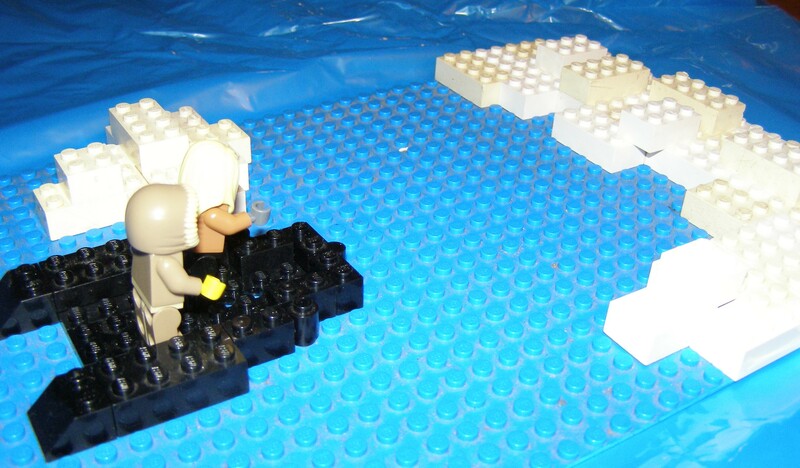 Bee and her Dad searching for Bernadette in Antarctica. I often feel like my heart could break when I see beautiful things. Like my children. And the leaves in autumn. Who should read this book: Anyone who likes a quick, entertaining, heartwarming read. “One of the main reasons I don’t like leaving the house is because I might find myself face to face with a Canadian. Seattle is crawling with them. You probably think U.S./Canada, they’re interchangeable because they’re both filled with English-speaking, morbidly obese white people. Well, Manjula, you couldn’t be more mistaken. First, let me be clear that I do not necessarily agree with anything said in this quote- I just like the quote. And it made me wonder, is it true? What do you think? One more note: Thanks to Reading-in-Bed for giving me this idea to create a scene from the book! With lots of help from my 10-year-old son. Ha ha, I don’t have an opinion about Bernadette’s quote but I did love this book! And the quote reminds me of just how quirky and funny the book is. I do love reading a good, fun book every once in a while! Just what I needed, another title to add to my to-read list! Glad to hear you’re enjoying it! It was a fun read! Have you read her new one?